How To Switch Companies In Bullet? 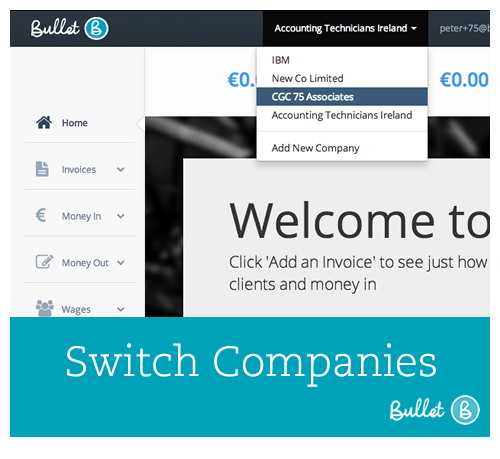 We’ve made a small UI change to Bullet Online Accounting Software. We thought the My Company dropdown was getting too busy so we created a drop down for people looking to Add A New Company or Switch Companies. Hope you find it easier now. We’ll be making some more UI changes around views and links.